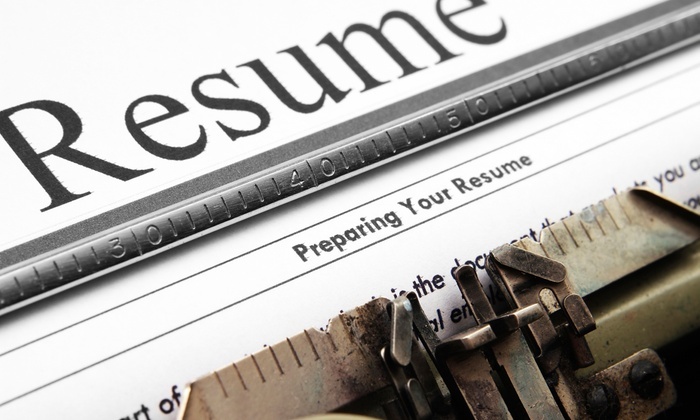 Did you know the average recruiter/employer only takes 6 seconds to read over your resume? My career adviser left me with one tip, resume's should be short, sweet and preferably ONE page long! Remember when hospitals hire you, they call every single place on your resume even if you only volunteered for a few hours, so choose wisely. A well organized resume will win everyday over a poorly organized one. Are you having trouble aligning your dates and names? A sneaky tip is to create your resume in a table and remove the lines. Make sure your resume is in chronological order, present to past. Check and double check for all grammatical errors. Have another set of eyes look over it! All things you are not currently involved with should be written in the past tense. i.e. Helped, Facilitated, Created...etc. Come up with a creative objective...I'm in search of a child life specialist position isn't going to cut it. Each cover letter should contain specific information regarding that hospital. Can you include their child life mission statement, or did you read something interesting on their child life page? Find a way to incorporate the hospital's name into your objective. A cover letter should be no longer than a page and is typically composed of three paragraphs. Each cover letter should be signed with a pen on resume paper before mailing or sending. Don't be shy. The cover letter is your place to shine, brag and be excited about this new opportunity. Discuss why you feel you would add a great addition to their team. Future employees want someone with big ambition and someone who isn't afraid to let their talents show. Traditional font, no smaller than 10pt and no larger than 12 pt. The largest thing should be your name. Margins should be appropriate to the length of your resume. It's okay to manipulate them to be small in order to fit it all on one page. We recommend sending a cover letter to EVERY hospital you apply to. Personalize it based on that hospital. But double check behind yourself. The tackiest thing you can do is send the wrong cover letter to the wrong hospital! Good luck and keep us updated on your journey! This post was SO helpful. I'm applying for a spring practicum and had NO idea where to even start with my resume. Thanks so much! So glad it was helpful! It's encouraging to know our posts are actually being read and used! Let us know if there is anything else we can do to help you! The first thing a potential employer sees in your job application is the cover letter. This doesn't just support your CV – it's an opportunity for you to stand out from the crowd and persuade the recruiter to put you through to the next round. Here’s how to write a compelling cover letter that will get you interviews. By adjusting you since you write, and indicating higher ways in which to word things, an online descriptive linguistics checker will improve your writing, acting like associate electronic mentor. once utilizing an online descriptive linguistics checker for a few time, you would possibly notice that the writing is much higher naturally, and you furthermore mght don't desire numerous alterations! Powerfull blog! I'll definitely recommend this site to my colleagues and fellows. If you need help in writing then have a look here https://www.phdproposal.com/why-our-writing-service-gives-you-the-best-assistance-in-phd-proposal-writing/. Just contact to our professionals and get interesting ideas here. Your post about resume is really good and i am sure it can help many people.I recently worked on http://www.researchstatement.com/our-statement-of-research-services/research-statement-biology/ and i found it really an interesting site. When i want to take pleasure in the appreciation to be a vocation, however, this sustainability to my opinion isn't going to visit the site add up. Plainly might get a position whereby I am able to keep the appreciation away from do the job, though the ability to keep myself personally When i tend not to realize why definitely not. Writing an employment application or statement is a biggest task for students. Mostly students ask how to write application and what should we add in the resume. I hope this site will give you many ways to write. An idea about the cover letter and the resume service with which you can get the best deal. If you want to become a child specialist then you can get the option from this tool. There is the https://www.capstonepaper.net/best-ideas-for-business-capstone-projects/ which can connect the best deals for you. Government Careers offer an possibility to turn your dreams into reality. If you desire to work in the mainstream and become an integral part of the nation's monetary development, employment in the federal government Sector may be your best option for you. Resume and Cover Letter is a good article. I come this blog first time. And I am very happy to see this post. I will come back again for new update. you should visit my blog. click to explore more. Thank you and have a good day. I read about the first part of the resume fact and it was so much effective and here I love to read this one as I expect more from this one and hope it will fulfill my wish. http://www.resumeeditingservice.com/how-to-choose-best-format-for-resume-in-3-easy-steps/ It's help me a lot on my thesis writing. No, we don't know how to read the cover letter in just 6 second with just check it here. Maybe that cover letter will be a one line letter or something like that. I recently made my new CV but it was not up to mark.Someone sent me a new professional template as well but after seeing this post read here .I think now I can make exact resume which is professionally required as well. Second part of the job has been done for the consumption by all individuals. The role of the job seeker and professional resume writing services reviews has been introduced for the use of the utilities for the people. The true element has been ensured with the part of the second item and manufacturing sort for the citizens. Thanks to help me for making my resume, good information and tips. A resume and cover letter should be designed to help a process seeker to study their accomplishments, competencies, and studies with regards to a job target or targets.